Note- Bar table is in black color, the given option is for choosing the bar stool color only. 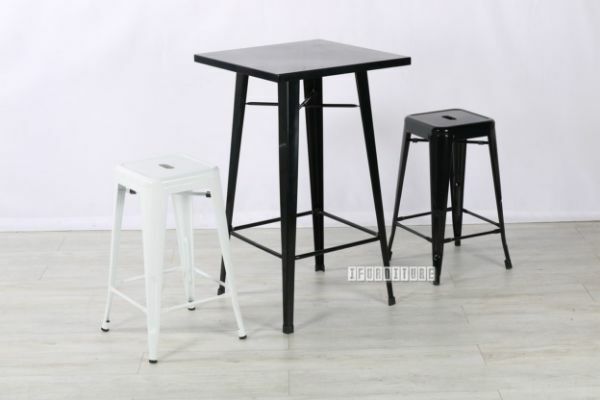 Tolix replica bar stools come in different colour variations; white, black, gun metal, red, and yellow. It combines practicality and comfort, ideal for home or cafes, pubs, and restaurants.